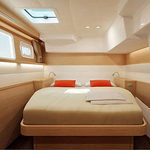 Sailboat Lagoon 450 called Alkisti was produced in 219. 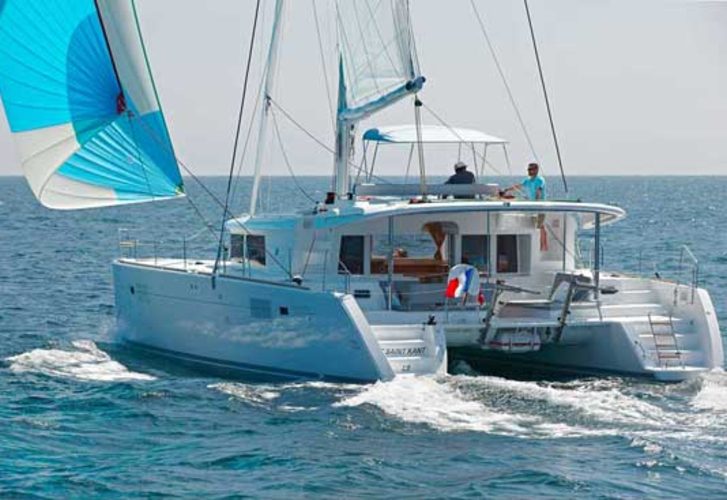 We propose this sailboat from port Athens in region close to Athens. Alkisti is certified for 10 pax. 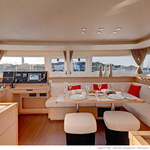 Layout of the yacht is 10. 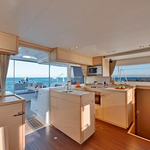 Lagoon 450 Alkisti has 5 cabins. For guests disposal there are 5 toilettes. With engine 57 Alkisti can navigate really fast. 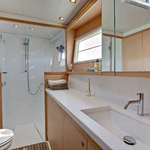 Alkisti is 13.95 m long and 7.84 meters wide. Depth is 1.3 meters. 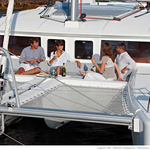 Use the search engine for search for more vessels in this site: Catamarans Athens. 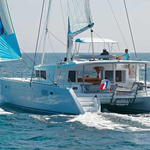 Vessel's equipment involves : generator, Gps plotter, Autopilot, Wc pump electrical, Outboard engine, Dinghy, Bimini top, Air conditioning, Bed linen, Towels, Mainsail with lazy jack. . Nonrefundable caution there is 3000.00 EUR. Choose our offer and enjoy your holidays on the deck of Alkisti. 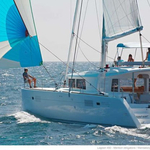 This Lagoon 450 from Athens from Greece Use this site to find right here: Catamarans Greece.